Winter 2018 Gems & Gemology cover photo features the 18.96 ct Winston Pink Legacy, a Fancy Vivid pink emerald-cut diamond that recently sold at auction for more than $50 million. 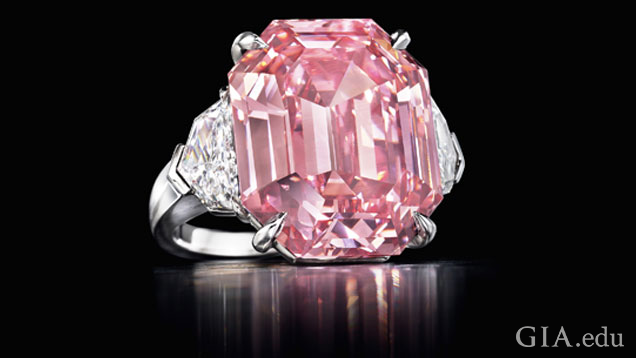 Winston Pink Legacy courtesy of Harry Winston, Inc. © 2018 Christie’s Images Limited. CARLSBAD, Calif. – Feb. 5, 2019 – The Winter 2018 edition of Gems & Gemology (G&G), GIA’s quarterly professional journal, brings together the beauty and science of gemstones to unveil new discoveries in colored diamonds, a Russian cultural landmark, corundum, pearls and laboratory-grown diamonds. G&G’s Winter 2018 issue is available in print by subscription and in the GIA Store, and digitally – at no cost – on GIA.edu.